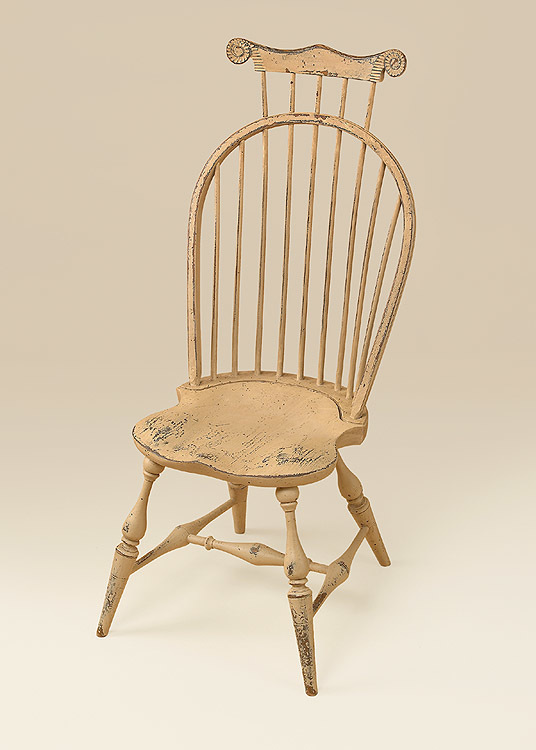 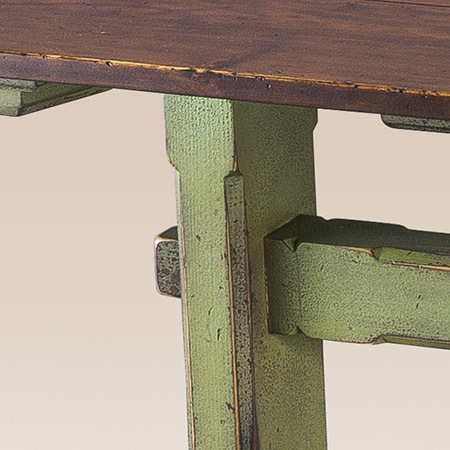 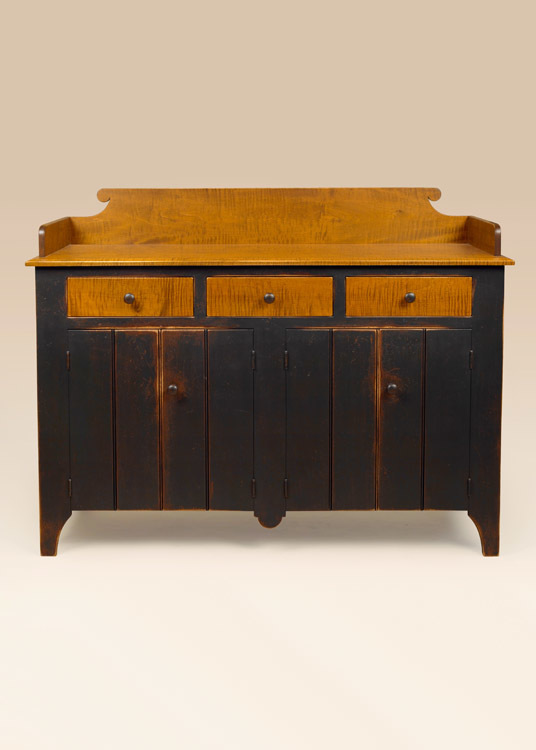 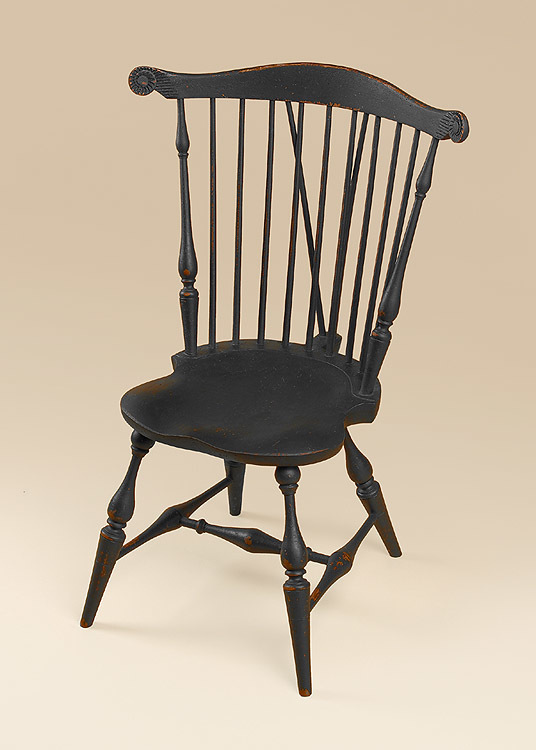 The Historical Ripton Testle Table is a traditional testle style table, but with two unique, turned spindles that enhance and support the center of the table. 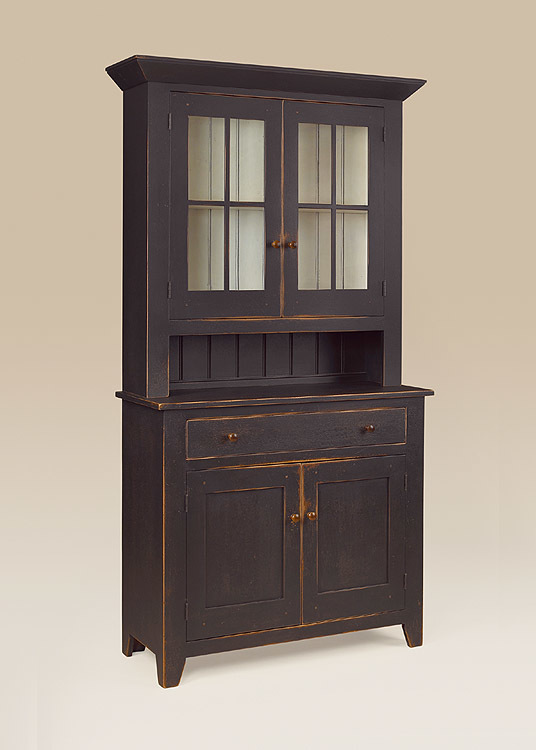 It’s easy to imagine this handsome piece as the center of your dining room – friends and family gathered for holidays or other get togethers. 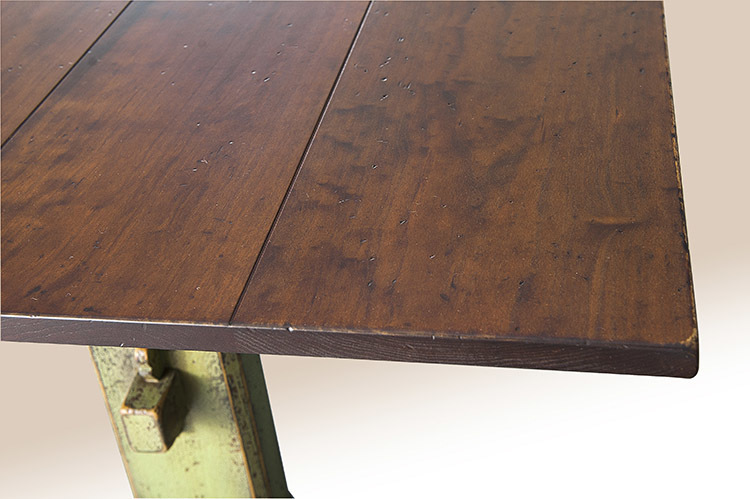 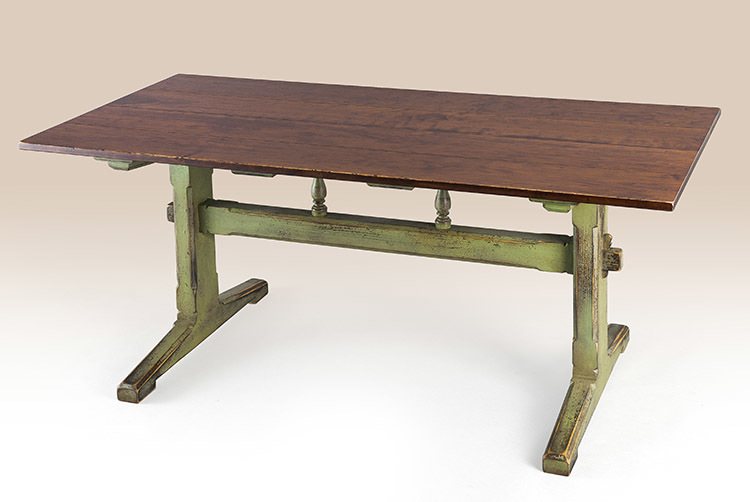 You’ll cherish the Historical Ripton Trestle Table for many years to come! 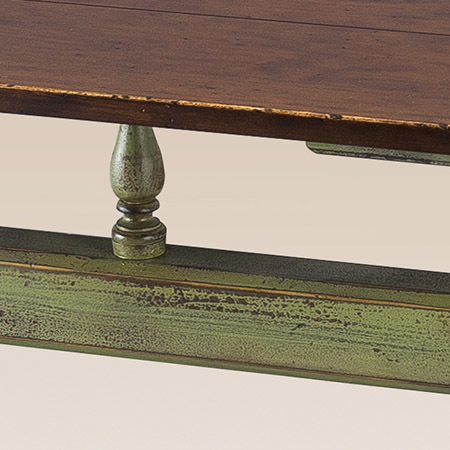 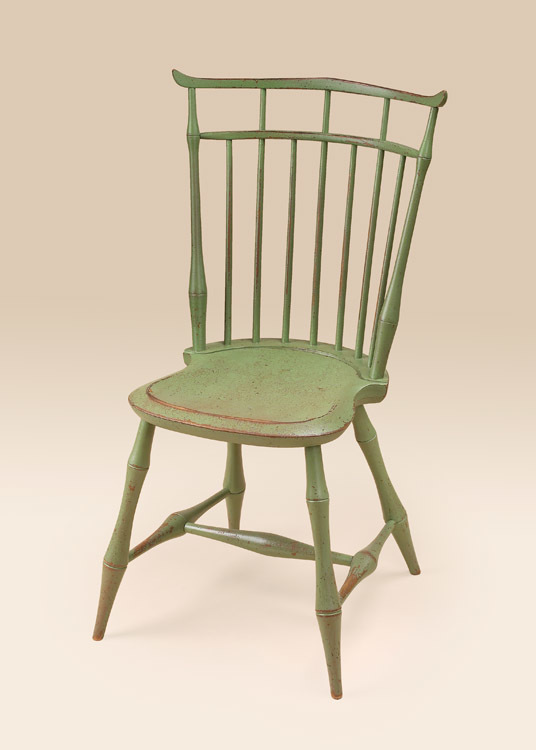 *Pictured in distressed cherry wood top and historical apple green over natural base.